Home Mattresses Organic Mattresses Inc.
Organic Mattresses, Inc. (OMI) is a brand of luxury mattress appealing to the discerning health-conscious, eco-friendly customer. Their 81 collections, including the Organicpedic™ and Naturals™ brands, come from “the nation’s only large-scale, smoke, chemical and fragrance-free factory.” OMI’s organic mattresses – along with organic mattress pads, toppers and covers – are hand-crafted in Northern California from certified organic cotton, wool and rubber latex. The company is passionate about supporting cruelty-free sheep farms and sustainable farming practices. Are Organic Mattresses Right for You? Try Our Sleep Analysis! The man behind Organic Mattresses Inc.
OMI Mattress Inc. Founder Walter Bader has been a longtime sufferer of multiple chemical sensitivity. The simple act of walking down the detergent aisle at the supermarket would cause his eyes and throat to burn. In the nineties, he founded an organic cleaning and personal care company. Later, he began importing natural latex mattresses from Canada and started his own company in 2003 to control every aspect of production. OrganicPedic Certified Organic Mattress Collection – The 10 different latex and inner spring OrganicPedic mattress models vary by surface, firmness and depth but all meet the same high certification standards. Customers love the customization options, which allows them to choose the firmness level of individual zones within the mattress – ideal for couples who can’t decide on one standard of comfort. OrganicPedic Earth Mattress Collection – The four models of 100% natural organic rubber latex range from medium-firm to ultra-soft, and from eight to 12 inches in depth. 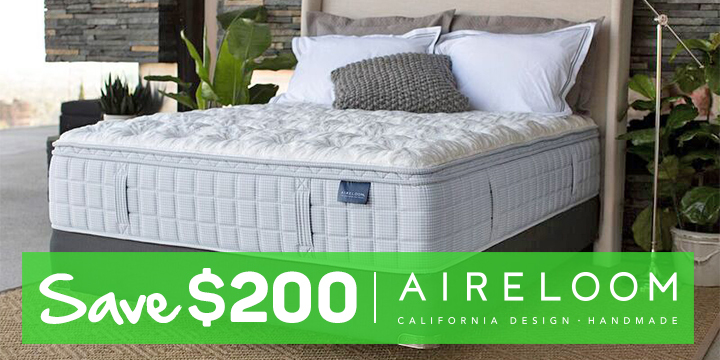 Customers like the supreme comfort offered by these cloud-like organic mattresses. Naturals Healthy Life Collection – The eight models of organic latex mattress differ in depth, comfort level and supportive firmness that goes from Extra-Firm to Ultra-Plush. 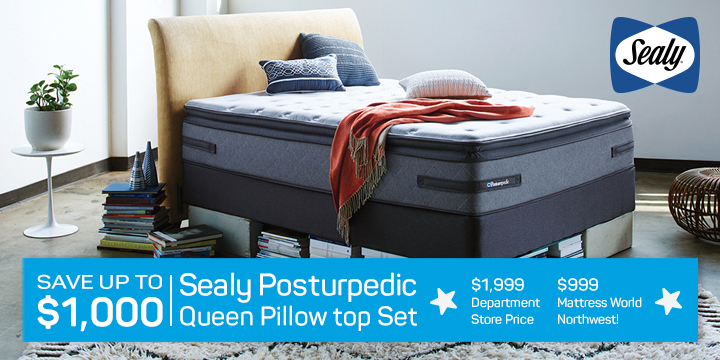 Customers like that this collection comes with a removable extra-soft pillowtop organic mattress cover option. Some buyers ask whether organic mattresses are really worth the extra cost. Our Sleep Specialists say “that all depends,” based on your lifestyle preferences. There has been no concrete evidence that exposure to components used in bed manufacturing leads to proven health risks; but by the same token, many people have better peace of mind when they limit exposure to toxins, whether it’s about buying organic produce, meat, beauty products, cleaning supplies or beds. Stop by our Portland, OR organic mattress store today! The best way to know if organic mattresses are truly for you is to simply try them out. 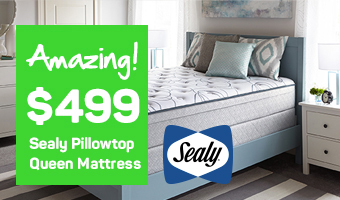 With 11 locally owned and operated organic mattress stores, Mattress World Northwest in Portland, Oregon is pleased to carry OrganicPedic and OMI Naturals organic mattresses on our showroom floors. Test our latex or inner spring varieties in a wide range of firmness levels to define your personal vision of “comfort.” Our knowledgeable Sleep Specialists can answer any questions you may have about organic beds, construction materials and model differences.